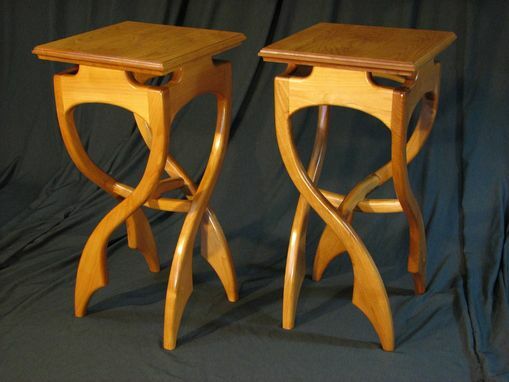 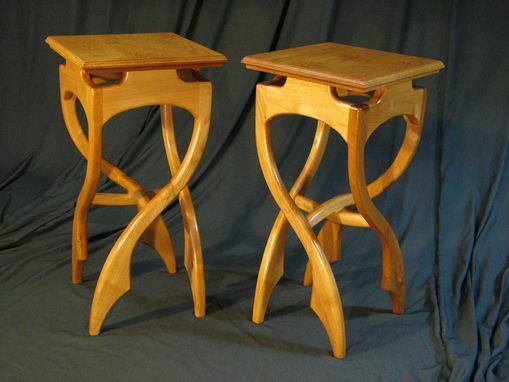 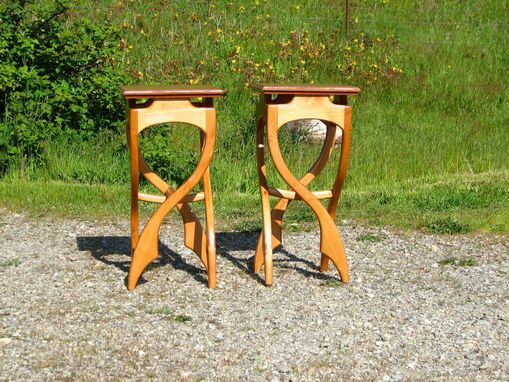 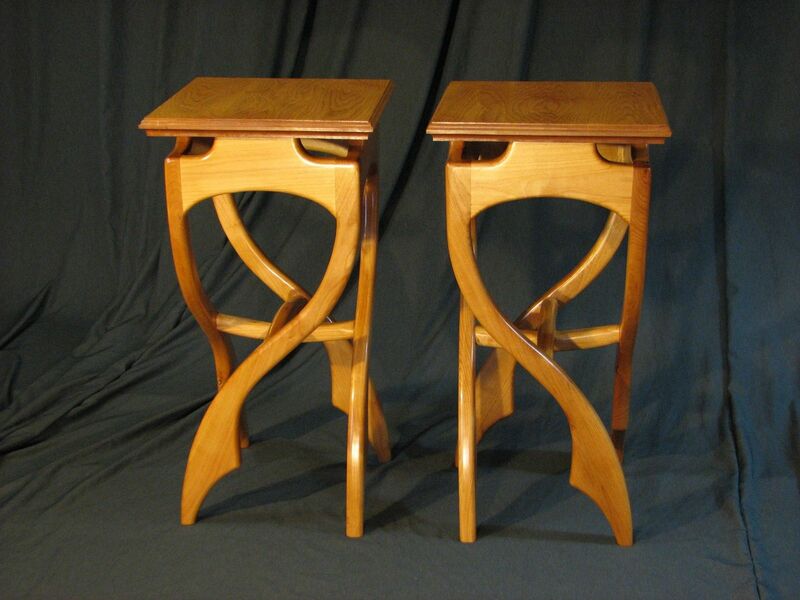 A set of pirouette side tables made of the wood of your choice. 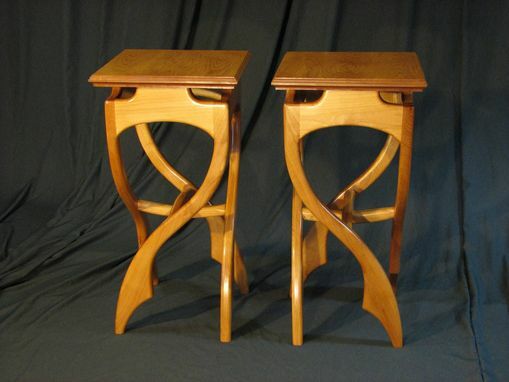 Work well as living room side tables or end tables or as accent pieces for any room. 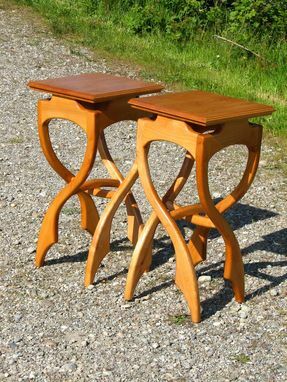 The light and delicate look of these tables is decieving as they are very strong and stout.